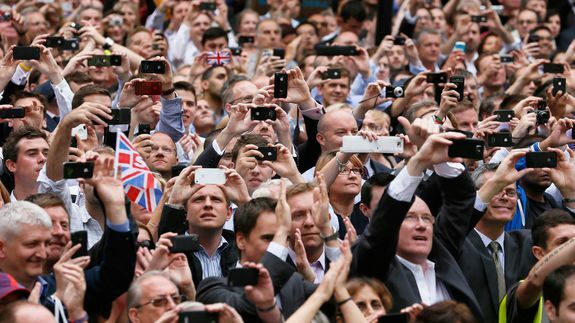 5 Billion People Will Use Mobile Phones by 2017 - trendistic.com: ever tried. ever failed. no matter. try again. fail again. fail better. 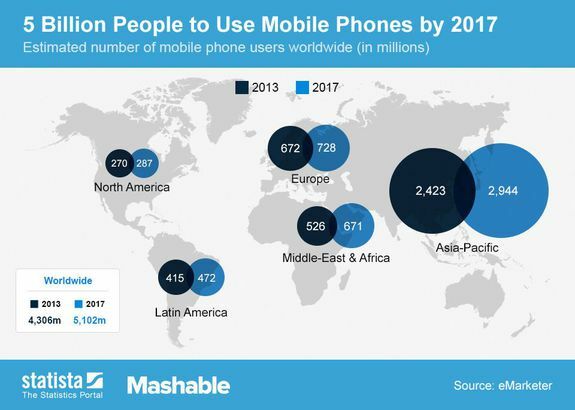 Four years from now, 5.1 billion people will be mobile phone users around the globe — almost 1 billion more mobile users than the 4.3 billion people worldwide using them now. Asia, the region that will see the most growth, is already home to the most mobile phone users. Some 2.4 billion people there use mobile phones, a figure projected to grow to 2.9 billion by 2017. Statista‘s chart, below, compares mobile phone penetration in 2013 to forecasts for 2017 in different regions of the world.